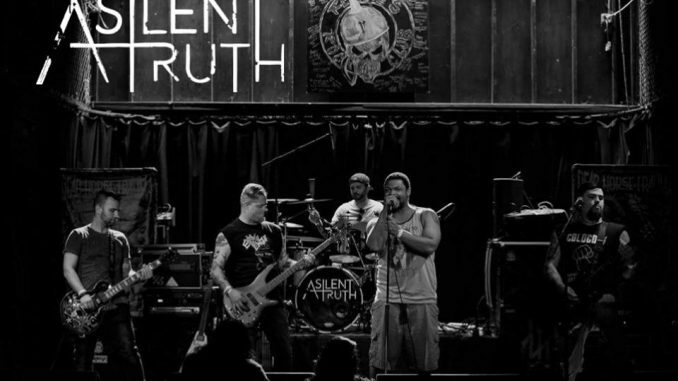 Chicago based band A SILENT TRUTH is ready to be a driving force, and a Voice that has been missing in the music scene. Coming from all areas of the Chicago music community; the band members, who make up this driving force now, in 2017, are ready to re-ignite the passion of what A SILENT TRUTH was created to be. 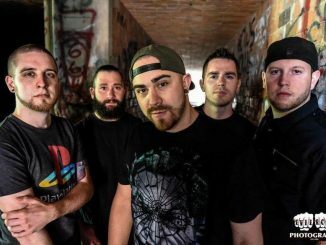 With two new songs, that the band has released for your listening pleasure, they are continuing to work in the studio, to have a solid EP in the near future. 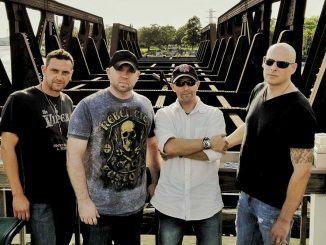 The starts of it can be heard on “CHARIOT” a guitar rooted, hard hitting, aggressive display of the heavy metal music, that is enlightening the local Chicago fanbase. I love the ambience of this song, because it shows off the solid guitar playing, the blend of screams and singing abilities, and overall high energy the guys are capable of. “RAYOVAC,” to me lays more on the hard rock side. Less metal, but still has the pounding, powerful intensity, and brings more of a melody driven sentiment into this one. Overall both songs give you the vast range this band can create. Both songs create a vision of an intense live show and energy induced platform. 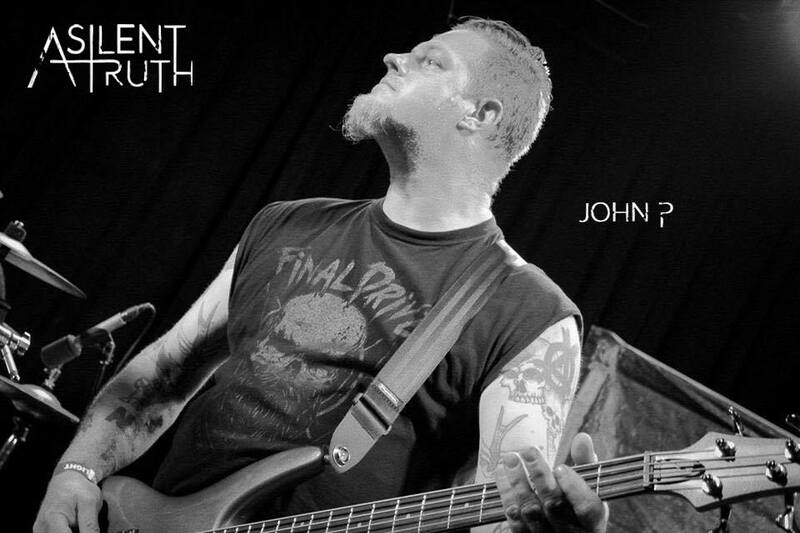 I had a chance to catch up with the John Partipilo, bass player of the band, to talk about the new EP, what’s missing into today’s music industry and some of the music he is jamming to lately. 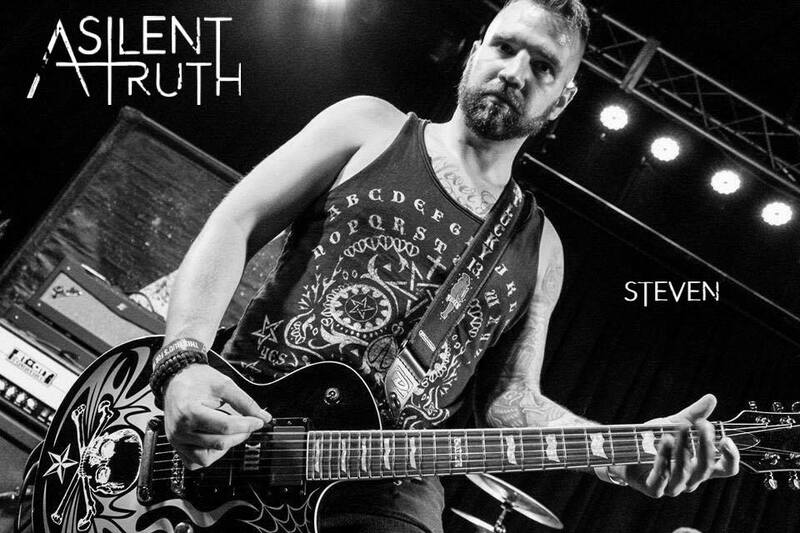 WHAT IS A SILENT TRUTH DOING IN THE CHICAGO SCENE, THAT IS DIFFERENT THEN WHAT WE HAVE HEARD COME OUT OF THE AREA BEFORE? We are trying to be a positive force in the music scene. We want everyone to know that the impossible is possible with the help of a community that supports each other. THE GUY WHO FORMED THIS BAND, TOOK A STEP DOWN THIS PAST SPRING. HOW DID THAT EFFECT THE MORALE OF THE BAND? WHO DID YOU FIND TO REPLACE HIM? Honestly Dan was a huge part of what A SILENT TRUTH was, and his departure affected us at first. When we found John Williams, we knew then and there, whether we went forward as A SILENT TRUTH or changed the name completely. We had the right group of guys for this band. WHO ELSE IS IN THE BAND, AND A BRIEF HISTORY OF THEIR CAREER AS A MUSICIAN? 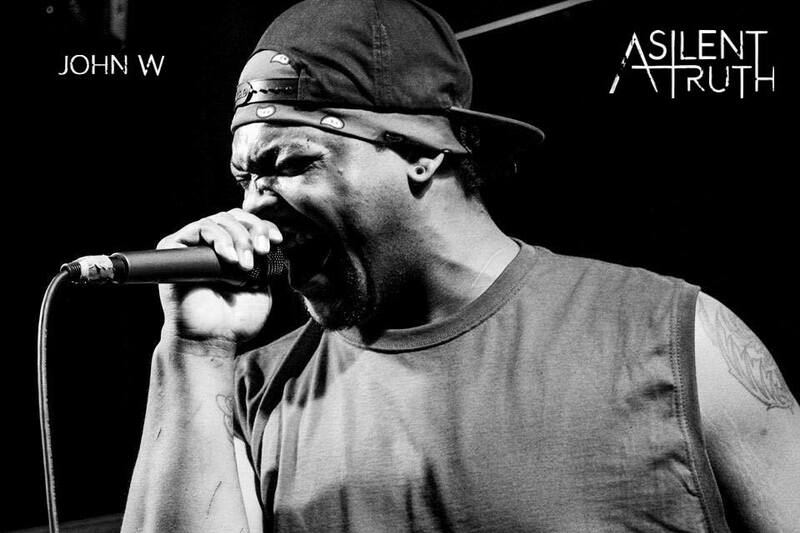 John Williams: vocals; we grabbed John after I booked his old band and was highly impressed with his vocal ability. 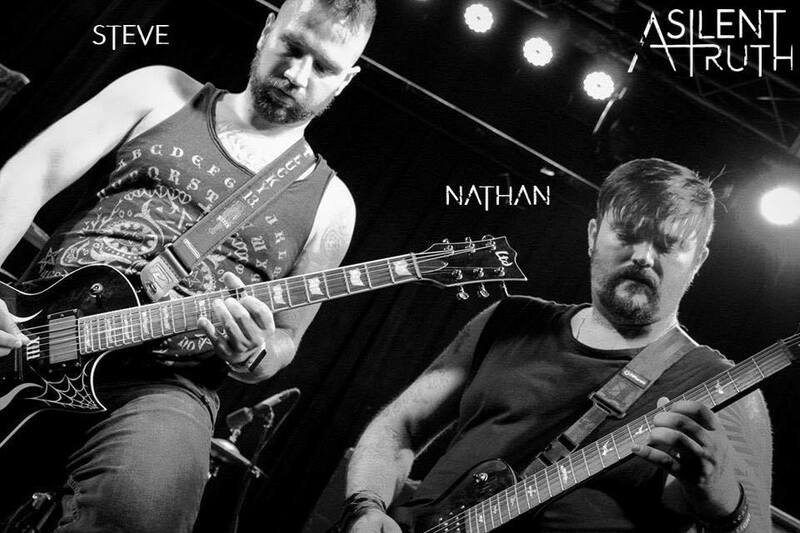 Nathan Moderski: Rhythm Guitar and Vocals; Nate has been around music and bands most of his life. I knew of Nate while he played in Ignescent, and when I was told he would be playing with AST, I got excited. Steve Larocco: Lead Guitar; Steve was also in Ignescent when I met him however he has been in several bands in the Chicago area for about a decade. 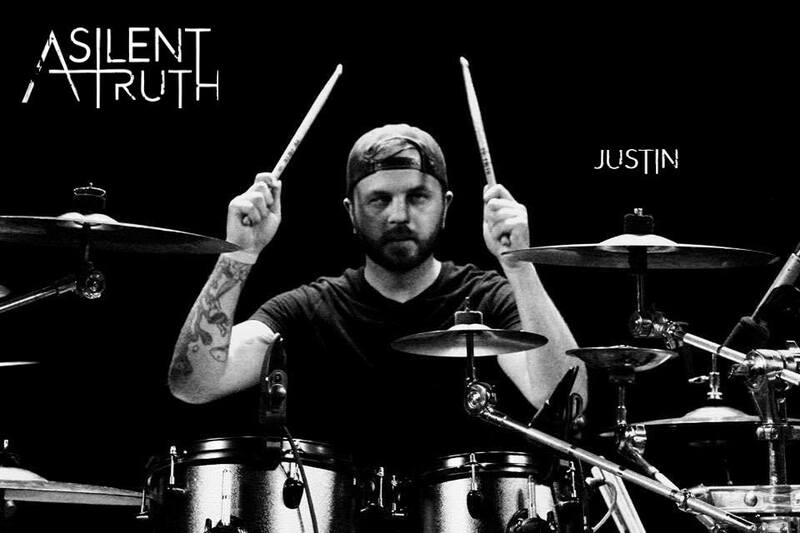 Justin Phershy: Drums; Justin is a master behind the kit. Coming from a metalcore math rock background he’s always impressing us while writing. John Partipilo (myself) Bass; I’ve been in a band you interviewed before Ditchwater and I was in some punk bands in the past. WHEN DID YOU RECORD IT, AND HOW DIFFERENT IS IT FROM OTHER MUSIC YOU GUYS HAVE DONE IN THE PAST? I sent over 2 older AST tracks that were recorded with a completely different line up in 2009 and I sent our 2 brand new songs CHARIOT and RAYOVAC. Those 2 new songs were demo recorded at Apothica Studios with Joe Tiberi of Mechina. We plan on returning to finish the EP with Joe before the end of 2017. It’s all completely fresh for us so nothing to compare to really. THE BAND NAME; A SILENT TRUTH. DOES IT HAVE A SPECIAL MEANING? HOW DOES IT INTERTWINE WITH THE LYRICAL CONTENT YOU WRITE ABOUT, IF IT DOES IN ANY WAY? The original meaning is unknown to us it left with Dan. My personal feeling of what A Silent Truth means is; when you have something, you need to tell someone but you know that telling them would hurt them so you keep it inside. There is The Silent Truth. Hence the snake skull logo we just came out with. THROUGHOUT THE STATES SOON OR JUST KEEPING IT LOCAL? The goal for us, is to involve the crowd as much as possible. Engage them with our stage personality and get them pumped and excited to be there sharing the experience with us. We love to play live and we love to have a few cocktails when we do so if you’re at a show buy us a few and hang out with us. As far as touring, we do plan on hitting it hard next year but only really on the weekend warrior side of things. Got a lot planned though so keep an eye out. We aren’t staying local that’s for sure. WHAT IS YOUR OPINION OF MUSIC VIDEOS? FOR YOUR BAND, DO YOU THINK IT IS BENEFICIAL TO HAVE? I mean they still have the MTV VMA awards, so someone is still watching videos. I think a good single should have the full package, with a lyric video and storyline video, playing important roles. THREE ALBUMS ON YOUR PLAYLIST AS OF TODAY, AND WHY ARE U JAMMING TO THEM? HOW DO ANY OF THESE BANDS OR ALBUMS INFLUENCE YOU AS A PLAYER ALSO? On My Six The waiting game EP again family. We all waited forever to hear this disc so it’s on repeat now. IF YOU COULD CO WRITE A SONG WITH ANYONE, ALIVE OR DEAD, WHO WOULD IT BE AND WHY? Phil Collins, that dude is a song writing machine. Everything he touches turns to gold. 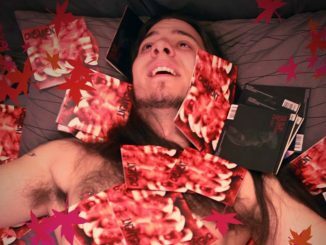 Look how many metal bands cover Phil’s songs. INDUSTRY IS MISSING, IN THE COMMUNITY, AND HOW WOULD YOU FIX THAT, IF YOU COULD? Artist Development. You don’t see labels working together with a band until the bands have their own following now. Gone are the days of getting “discovered” unless you are on a tv talent show. WHERE CAN PEOPLE GET YOUR MUSIC OR KEEP UP WITH THE BAND? ONE PIECE OF ADVICE FOR ANYONE LOOKING TO START OUT AS A MUSICIAN? I’ll quote “CHARIOT.” “Anything is possible as long as you never quit” I’m 41 years old I have kids older than some members of the bands we play with. Never surrender keep going, but, always remember to make time for yourself and those who love you. I first off want to thank you Stephanie and the East Coast Romper, for reaching out to talk to me. I know it took forever to get this to you, so I appreciate your patience. Keep an eye out forAST in a town near you, and always keep your head up and charge ahead. Roller coasters or jump out of a plane? Audio books or real books? Nothing like holding a real book and turning the pages.